The Council of Bishops slams the law that allows the naturalisation of foreigners, whilst denying it to people born in the country with a Lebanese parent. Political leaders are treating the issue lightly. One of the people who has benefitted from the decrees is an Iraqi vice president. The prelates call on the faithful to join the day of prayer for peace in the Middle East. 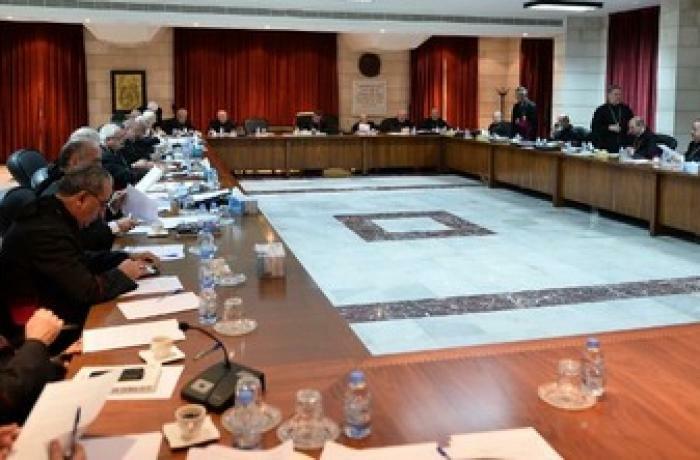 Beirut (AsiaNews) – The Council of Maronite Bishops warned yesterday against the “negative repercussions” of the recent citizenship decrees, noting that some people of Lebanese descent are more eligible to obtain citizenship than others. According to the prelates, the new law, against which the Maronite Patriarch spoke out a few weeks ago, would end up disfavouring some descendants of Lebanese citizens seeking naturalisation, privileging others with less rights. In a note the Maronite bishops confirm that they discussed at length the citizenship decrees "issued since 1994 until today”, noting that they “breach the law and [have] negative repercussions on coexistence" among people. For them “citizenship is closely linked to the country's identity, dignity, sovereignty and higher interests”. For this reason, they warn, politicians and officials " should not take it lightly under any circumstance”. The head of the Maronite Church, Cardinal Beshara al-Rahi, presided over the meeting held at the patriarchal headquarters of Bkirki. “There are people of Lebanese descent in the diaspora, including personalities who have established their presence at the global level and in various fields, and they are more eligible than others to get citizenship,” the Council added. The Interior Ministry recently revealed the names of hundreds of people including an Iraqi vice president who received Lebanese nationality under the latest controversial presidential decree. The list, which includes the names of wealthy Syrians close to the Damascus regime, was leaked to the media. In Lebanon religious affiliation regulates political power. Although the percentage has changed in recent years in favour of Muslims, a 50-50 balance between Christians and Muslims is the country’s foundational myth. And all Lebanese, in all communities, have to preserve this peaceful myth, maintaining its effectiveness and credibility, giving the country’s pluralism the demographic base needed to remain credible and bear fruit. According to critics, the new decree benefits foreigners and disadvantages people born in Lebanon to Lebanese mothers and foreign fathers who are in fact excluded from the possibility of being naturalised. The list published on the Ministry's website has more than 400 names of various nationalities, including a quarter of Syrians and just over a quarter of Palestinians. The most notable name is that of one of Iraq's two vice-presidents, Iyad Allawi, who is also British and whose mother was Lebanese, as well as his wife and three children. Finally, the Maronite bishops call on the faithful to participate to the day of prayer for peace in the Middle East, which will be held next Saturday in Bari (Italy). The prelates urge the community to join the event "through prayers" hoping for “lasting peace and security” and an end to the "wars" that are the cause of so much "death and destruction”.